I would like to present to you a thing or two about FingerTec's team in Malaysia. Are you ready? What makes an employee turnover low in a company? Salary and benefits are definitely priority for some but when it comes to ambiance, i'd say the priorities get reorganized. Environment sets the mood right, it provides motivation, it creates excitement. When we have something to look forward to in the office, work feels good. 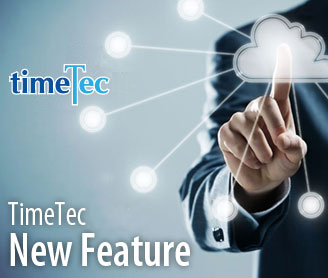 I have been in the company for many years and I’ve witnessed progress that FingerTec made from an organization that’s formal and very work-driven to a more casual team of staff without compromising on our commitment to our level of work and our provision of good service to our clients. For a start, my relationship with my boss is very easy going in the sense that I could talk to him about almost anything under the Sun. He opens to ideas, suggestions and comments, and knowing him for years, I would describe him as a laid back person who possesses a unique leadership style. Everybody in the company is aware that he knows about everyone but at the same time, everybody knows that he's not prying into our lives.We are free to use Facebook and the Internet at all times but one thing he always makes sure is that we finish the assignments he sets for us or we'd get an earful. The trust he provides to the staff and I is valued, as without that it's quite hard to progress and achieve the goal for the company. As a leader, I believe in getting down and dirty to show (your staff) what matters. During our early years, I was there with them during good and bad times. Everybody knows me well as a person who solves problems. No matter how hard I talk/scold to them, they’ll be lining up in front of my room to talk to me, either on work related matter or personal problem because the fact is, I listen. I’m the kind of person who gives it to them straight, someone like Simon Cowell in the office. It might hurt sometimes but that’s the truth that they want to listen to. I think an office that provides comfort and friendship is the one that’s been binding us together as a family. Tamy joined the company at her tender age of 19. She has grown in leaps and bounds over the last few years, in personal as well as in career. One quality that’s priceless in Tamy is her care for people. Her heart is close to her clients; she’d try her very best to fulfill whatever requirements you have. A person who’s very hard to get angry no matter how hard she’s been provoked. I value Tamy as a part of the marketing team for her great values and positive attitudes. Most of the time you couldn’t hear her talking but she types as fast as lightning on her keyboard, ‘talking’ non-stop with her clients. There’s a case when a customer from Africa asked Tamy to help him buy him a tv in Malaysia and even though I discouraged her, she believed that this small favor could strengthen the relationship between FingerTec and this company, and she was right. After her lasik operation last year, specky Tamy has transformed to be a very beautiful swan. Natt on the other hand is quite serious when it comes to business, if I might say so. She does as you say and won’t take any nonsense for an answer. Nonetheless, she’ll assist every customer the best way she could, she’d go to great length to make sure that you get the best service from us, so long as your requirements are legitimate and logical. But if you mess with her, you can expect a cold response, though she’d help you still. Natt also has been with the company for a number of years, everybody went to her wedding last year and she’s expecting a baby in August. And by the way, her full name is Nattalina Zainal. Many mistakenly write Nathalin, Natalie, Natalini, and best of all Mrs Zintal. Natt is a person of many talents; singing, dancing and crafts are some of her best skills. Don’t you ever dare her to salsa; she’d shake your world goooood! When it comes to Ms Nisha Tara Naidu, I think she’s God sent. Haha! In FingerTec, there are so many things to write, if we could sell these writings, we could make millions. I have been handling the writing tasks since 2004 and glad that she joins the team. She joined us last year after a string of interviews, fresh from college. The level of professionalism she shows is at its absolute best even though she’s in her black jeans, t-shirt and flats every single day. Nisha has the sweetest smile that can light up the whole of Kuala Lumpur, and a weird sense of humor. Her latest book purchase from Amazon is 5 Reasons to Punch a Dolphin in the Mouth by The Oatmeal, go figure. Regielou Rolloque is a Pinoy who joined us in 2007. She has a degree in Psychology and a deep passion for language, which explains her proficiency in Spanish. One time, we had two clients from Venezuela and I was nervous that she couldn't converse in Spanish as we claim her to be but she carried the conversation like a telenovela actress. As far as I've known her, Regie to me is a very quiet girl who always like to be alone and eat organic fruits. But once in a while she'd blurt a loud laugh over a joke. She's also an avid fan of Harry Potter and probably has a wand in her drawer, looking at us as if we're plain muggles. In business, with Regie, WYSIWYG -- what you see is what you get. She's straight to the point and very serious when dealing with customers. Benacer Douadi is another expatriate in our team and he's been with us since 2008. Originated from Algeria, Ben is a warm person who could be friendly with customers on the first meet. He is a qualified veteranian, who always has his soft spots for animals. He speaks Arabic and French well and he likes to fool around with fellow colleagues. Knowing that Nisha is the number one fan of Adam Lambert, he told Nisha that there was a concert of Adam Lambert in Korea during our company trip there. Poor this girl, already planned to book the ticket only to find out that it was a total hoax. We had a good laugh that day. Ben has opened Middle East market for us with his understanding of the language and culture. The only boyz-to-man in Sales and Marketing is Mr Curtis Tan. He was with us for quite sometime before he quit to pursue a career in Singapore. Fate brought us back together and now he’s handling international sales and marketing. Curtis has his own charms and wits when dealing with customers. I sense that customers are always at ease when he’s around. He brings with him loads of humor into the office but when it comes to handling business, he never jokes around. Curtis speaks pure Singlish in the office but when he picks up the phone, he sounds like an Englishman. “Hello.. this is Curt..tis. How may I help you, mam” With the exposure that FingerTec provides to him, we believe that he’ll grow into a man sometime soon - you know that I’m joking, don’t you? Ricky a.k.a Mr Licky is our beloved brother. Sometimes he reminds us of the Oscar winning film, The King Speech. You have to have some patience when talking to him but he’s adorable to say the least. One day I heard a blasting laugh from the team. Mr Ricky had said in the phone “Hello, I’m Licky, can I speak to Mr Lion?” We were wondering "Who on earth would name their son Lion?" then we realized it was actually “Hello, I’m Ricky, can I speak to Mr Ryan”. Chinese always have problems pronouncing an "r". Instead of an "aaar", it sounds like "el". And he joined the laugh, realizing what he’s just said. Ricky is in charge of the Malaysia sales and his years of experience in the business gives him that edge when dealing with customers. Ms Kartina Azlina or better known as Tina has a calming effect on clients. Since she took over the local sales, the figure is getting bigger and better because she uses her special voice when she talks to clients. It’s like the power of a woman’s voice in TomTom, a portable GPS car navigation system, and I’m telling you we have lots of male clients. Well, the fact is, Tina is the person who takes care of your needs all the time. She’s flexible, considerate and most of all kind-hearted. 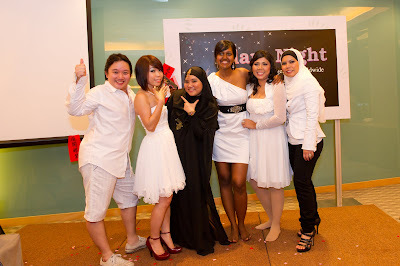 Curtis, Tamy, Natt, Nisha, Tina and Yours Truly. An Attendance system is important no matter what business you run. You need to make sure your employees are showing up on time and not playing hooky too many days out of the month. The last thing you want is a slacking employee and you need to know who stays and who goes when it's time to make cuts. But a system like this also helps with payroll. After all, you want to be fair with your employees. You want to make sure you are paying them for every hour they worked, especially if they put in overtime. You also don't want to overpay anyone who doesn't deserve it. And with biometric time clocks, you can make sure that no one is clocking in for anyone else when they aren't really present. It has to be their fingerprint, no exceptions. Your time clock can then store everything as data which you can access anytime you need to, with time stamps and everything. Keep track of whether people are turning half hour breaks into 45 minutes or not. It'll all be right there, easy to understand. Link that to your payroll software and you'll have everyone paid each week without a hiccup. I wrote Social Responsibility in my blogspot last April when Google announced its decision to withdraw from the China market. I continued this topic this time around after the two seemingly not related disasters struck early this year. 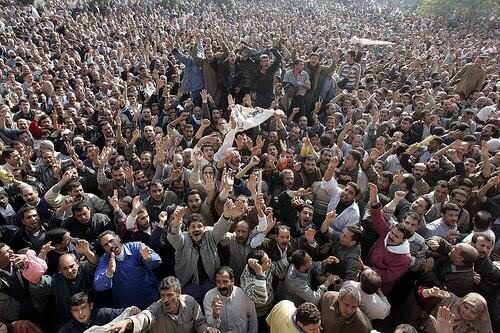 The political Jasmine Revolution sprouted beginning of the year in Tunisia and widely spread across North Africa and Middle East countries; successfully ousted the president of Tunisia, Zine El Abidine Ben Ali, and Egypt, Muhammad Hosni Sayyid Mubarak. The heat continues to influence and arouses the people of the neighboring countries, Yemen, Iran, Libya, and Saudi Arabia etc to go on the protests. The street chaos, affecting some of our partners like Al-Azzahra in Yemen that had to stop their order, as they’re afraid that they might not be able to claim their consignment from the custom. Later on 11th March, an earthquake of magnitude 9.0 hit Japan, and the devastating Tsunami it triggered, paralyzing four of the six reactors in Fukushima's nuclear plant, radiation risk quickly becoming a domestic catastrophe in Japan and later on spreads across the ocean as a foreign threat. There is a dotted line that ties these two different political and natural disasters in nature, when we look at them in social responsibility perspective. After the first disaster, my question is, why the governments in the West showed their support to the dictators in the past but when push came to shove, put pressure on them to relinquish power? Why did the foreign banks help the dictators to stash their corrupted money in the past, but were so quick to freeze their assets now? Why did they not do all these much earlier to help the poor people? The answer is simple; the social responsibility issue was not a priority at all until the chaos started to snowball, which in turn might hurt their interests in the long run. And on the nuclear energy threat issue, we witnessed combinations of governments and corporations whom teamed up to "educate" the people of the importance of nuclear power to generate cheap and efficient energy for the country's future development. They always downplay the risk in their propaganda. Under the name of development, nuclear power may benefit the country, but it also benefits the corporate or some individual politicians staggeringly. When the same power causes an environmental failure, it is collectively borne and rescued by the ordinary people. One of the common examples I like to quote is the Kuala Lumpur flash flood problem that hits the city whenever there is a heavy rainfall. It is obviously the impact of inadequate city planning, where the involved companies are happily enjoying the profits, but eventually the government is left to solve the ongoing problems it causes using the taxpayers’ money to improve the drainage system. For this recent nuclear power leakage disaster, the Japan government does not only have to utilize the taxpayers’ money to clean up the mess, but more disastrously, millions of lives, humans, animals and plants are now endangered by the radiation. 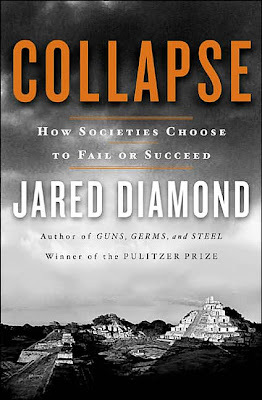 Jared Diamond, the Pulitzer Prize-winning author, discusses why do some societies make disastrous decisions in his bestseller, “Collapse – How Societies Choose to Fail or Succeed”. One of the reasons he said was the clash of interest between people. That is, some people may reason correctly that they can advance their own reasons by committing behaviors that are harmful to others. We know that all companies have three groups of people that they need to serve—customers, employees, and shareholders. We also know that most companies would prioritize shareholders first, customers second, and employees the last. If a company keeps the ranking list that way, I doubt that their claim of concerning social responsibility carries any weight. Even their charitable activities or good deeds they may have done are more for the purpose of maintaining their company image, rather than to sincerely fulfill their social responsibilities. Also please bear in mind; the so-called public listed companies are actually serving the minority public rather than the majority. For example, the shareholders for the affected listed power company, if given a chance, would still woo the hike in electricity rates; regardless of whether it will hurt the entire country's economy or not. Jack Ma, the Chairman of Alibaba.com once proudly announced that he ranked customers first, followed by employees and then shareholders, but to me, this statement was meaningless, merely a hypocritical pretense. Because I always believe, as part of cause and effect, that employees should come first rather than customers. Just as the ISO9000 is a standard to improve product quality, you should ensure the quality of your staff is improving as well; only then will they produce the targeted quality of products or services to benefit customers. 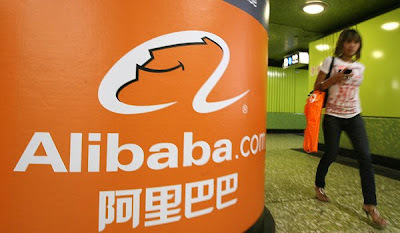 Jack Ma’s way of “priority ranking” backfired last month when Alibaba.com found that over 100 employees are suspected of abetting fraud. And the CEO David Wei and COO Elvis Lee had to take the fall and tender their resignations. I always think that a responsible company has to arrange their priority to put employees first followed by customers, and profits should only come in the end to benefit shareholders. From how a company places its priorities, we know how seriously a company takes its social responsibility on its shoulders. Sometimes there are certain areas in a building that need to be off limits. It may be that room in your office with sensitive documents that can only be accessed by certain employees. You don't want just anyone getting in and stealing important information. It may be an area of a medical facility that you don't want patients wandering into or that may contain hazardous materials. It could even just be a private bathroom that you don't want outside solicitors to use. Whatever it may be that you are protecting,a fingerprint door lock is the most secure way to do it. You just need to register the proper employee fingerprints once and they'll be able to access the room anytime they need to. You can add a new employee anytime as well as remove access for ex-employees. There's no way to get into the room without the actual person present, so you can account for everyone entering and leaving. You'll have minimal risk of outside wanderers getting in, or anyone else who may be trying to gather important information. A fingerprint door lock could even be used at home if you have a room where you store your valuables so you know only your family can access them. It has a variety of uses, so don't rule it out if you want the best security. So you may be thinking of installing biometric time clocks into your place of work, for fast clocking in and out for your employees. Sure they are high tech and they just look cool, but you may be wondering how they really work. When you first set one up, you'll have all the employees touch their fingers to the screen. Usually the index or thumb are the easiest to be captured, but any of the 10 fingers can be used. The finger scanner does just that, scans the fingerprint. There is software inside the converts the fingerprint into data and a database that stores all the fingerprints on file. And the fingerprint images can't be duplicated, so a live finger has to be used to log in, protecting you and your workplace. The technology is also safe to use, as there is no evidence of any negative health affects with the system. The biggest benefits of the system are reliability and safety. Since employees cannot ask anyone else to clock in for them without being present, they cannot cheat the system. And since only their fingerprint can work, it's especially useful for locked, employee only areas so you know you won't have a security breach. A scene in a flight headed to Tokyo from Kuala Lumpur: Those who were reading books are mostly Japanese, only a few Malaysians were seen with books on their hands. 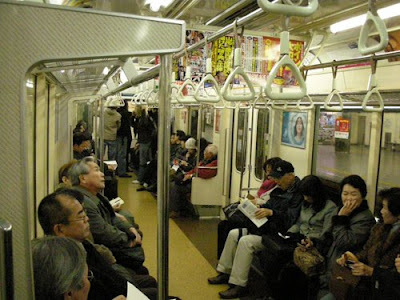 The similar scenes were observed in metro trains in Japan, passengers were absorbed in their readings. Hardly you’ll find such scenes in metro Hong Kong, or in Moscow, Russia. In Hong Kong, passengers are into mobile phones. Japan is a nation with a high percentage rate of reading habit amongst its population, a culture that yields hope. Despite the country facing economy stagnation for over two decades, the city of Tokyo still looks vibrant with radiance and exquisite civilization omnipresence. I believe that a nation that has a high reading rate will never run out of stamina. Two shoe salesmen were sent to Africa. The first reported a problem - all of the natives went barefoot - and thus he believed that there was no market in Africa for shoes. The second salesman reported an opportunity - all of the natives went barefoot - and thus he believed that Africa held a tremendous untapped market for shoes. Of course, when there is a forked outcome likes this, marketing gurus would appraise the latter, encouraging the students to take the problem as an opportunity to be seized, because “positive thinking” always prevails in any marketing teachings. But I despise this conclusion out of sheer simplicity. Because when we go deeper, you know you have to invest a lot of money and time to change the habitual barefoot culture of the natives with no guarantee of success. Are you prepared for this? And even if you have successfully changed their lifestyle, but footwear is a low-tech products, other footwear companies would easily foray to seize on the emerging opportunity, which may not necessarily benefit the early birds. 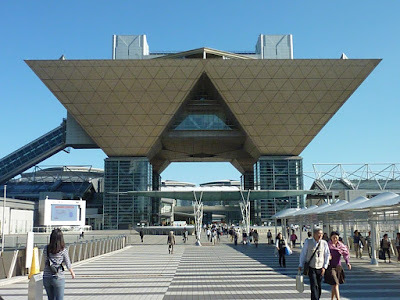 The Security Tradeshow confirmed my view that Japan is "barefoot" for the commercial biometrics market, despite it was commonly deployed at the government level. I dropped by at the only two small booths that were displaying China and Korean fingerprint products respectively, and both affirmed the lukewarm response. Other countries can easily draw a larger crowd with more biometrics exhibitors. Japan is a unique and closed market for foreigners, with privacy concerned, it takes extra ordinarily hard to penetrate into this market. That’s why our online marketing activities draw a large pool of inquiries from other countries from all over the world, but very little comes from Japan. Our permission marketing strategy discourages us from taking an aggressive approach. And I would not want to forgo this market either. I would rather use some softer approaches and let the nature takes its course. 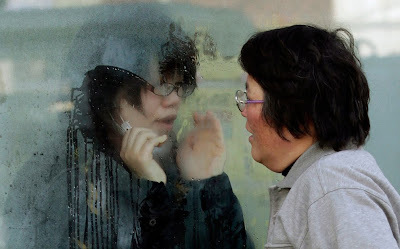 If there is a need in biometrics products, I always believe we will get a knock on our door. That's how we expanded our business to over 100 countries. And we have to always get ready, even for the Japanese market. 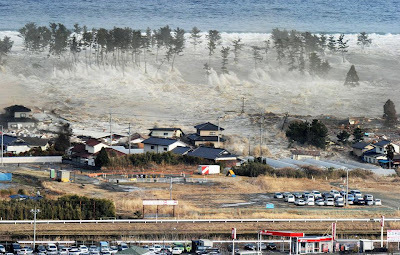 A devastated Earthquake (magnitude 9.0) struck Japan on March 11th, Friday, during my stay there and had caused the worst Tsunami in a part of Japan as well as in a few countries along the Pacific rim. The earthquake has caused major damage in broad area in Northern Japan; I felt the building where I stayed shook rigorously during the quake and the aftershocks. The death toll rose to more than 800 now and it's still rising. From the TV, I could see the violent water swept away houses, cars and ships, fires burned out of control. Power to a cooling system at a nuclear power plant was knocked out, forcing thousands to flee. But I have to admire the resilience of Japan in facing geological disasters. It shows how efficient and effective their government is and the cooperation and discipline of the people to minimize the destruction. The second day, most of the activities and subway operations in Tokyo were restored, and I observed the Japanese with their reading habit as usual like nothing major happened yesterday. Kindly take note that due to the thermal power plants on the coast that are damaged by the Tsunami, leading to an unprecedented shortage of its power supply capacity in Japan, this has affected FingerTec production in the coming two months, as we are using 40% components made in Japan. This incident may cause an unexpected shortage of our stock in the following months. 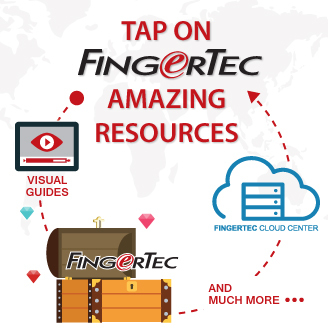 Welcome to FingerTec USA Blog! When you are running any business or organization, it's important you can keep track of your employees. You want them to be able to clock in and out easily, as well as keep your offices secure so no one but your own can go in and out. That's where FingerTec USA comes in. We offer both employee clock in software as well as security in the form of fingerprint door lock and mechanical lock options. There's nothing quicker than clocking in with the touch of a finger. We have models to suit all business sizes, from the smallest start ups to the biggest corporations. Finger print recognition takes just seconds, so it's far more efficient than a manual clock in. And no one has to remember any numerical log in and have input issues; the fingerprint is a perfect way to avoid those problems. And if you need specific areas of your office locked for security reasons, you can get fingerprint recognition for your door locks as well. It's the technology everyone dreamed about years ago, in your own office! 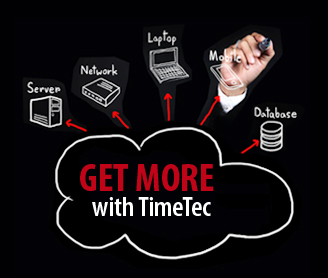 So follow our blog for news, model information, and how fingerprint time clocks can help make your business more efficient. It’s music to my ears when a customer, Tim left his comment on June 26, 2010 on FingerTec TA100 at Amazon.com. All the three reviews with full 5-star rating thrilled me two weeks ago when I bumped into our own products in Amazon.com, whereas some rival products received harsh and thumbs-down reviews. I attributed the credit to the diligence of our partner in the US and also our effort to deliver good quality products. I have a friend who owns a factory in Penang, a Northern state of Malaysia. Whenever I visit him, he would proudly show me his new machines, or new expansions of the manufacturing building. But one of his customers whom I happen to know complained about his stagnated service and product quality despite his business growth. We reckon his success is mainly due to his right investment at the right time for some emerging technologies. Yes, a lot of monopoly or oligopoly businesses are still making tons of money even though they do very little to improve the product and service quality. What good is it to the customers when you buy a new building to yourself? What benefit is it to the customers when you install a new production line to boost the output? A picture of a swanky office block printed on a brochure or on the web would certainly impress customers, but they welcome high product and service quality even more. With the introduction of TeamWeaver in February to support our customers, we took another step further to improve our service. And this is how we impress our customers.